There’s no definition for the word “natural” – it can be applied to any cosmetics – but there are some ingredients homecrafters avoid when it comes to making plant based products. Petroleum derived propylene glycol is used as a humectant – something that draws water from the atmosphere to our skin - to hydrate our skin. It lowers the freezing point of water so products can be shipped in colder weather, which is why you’ll find it in products as varied as lotions, body washes and salad dressings, as well as anti-freeze. (It’s often sprayed on roads for the same reason.) As a penetration enhancer, it brings active ingredients and cosmeceuticals into your stratum corneum. We use it at 1% to 10% in our products. We find five parabens in cosmetics - methylparaben, ethylparaben, propylparaben, butylparaben and benzylparaben - and two isomers - isopropylparaben and isobutyl paraben - all derived from petroleum. They are often used as broad spectrum preservatives to protect your products against bacteria, fungus, yeast and mold in Germaben II, Phenonip or the Liquipar line. 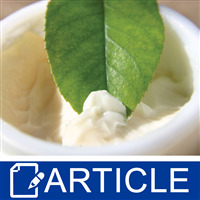 Parabens, or their pre-cursor, para-hydroxybenzoic acid, are found in all kinds of substances, like blueberries, peaches, onions and honeysuckle, the latter is being studied and used as a natural preservative. Alternative preservatives: Broad spectrum preservatives like Germall Plus, Optiphen ND or Geogard Ultra. Mineral oil is a linear hydrocarbon product with an unlimited shelf life used as an occlusive and emollient. It can feel quite greasy, something you’ll notice when comparing store bought and homemade lotions. This oil soluble ingredient is safe to use at up to 82%, isn’t absorbed by our skin and is non-comedogenic. You’ve no doubt noticed your vegetable and seed oils can differ from batch to batch based on the growing season, climate, fatty acid profile, supplier and so on, which can cause changes in viscosity, skin feel and color of your product. Petroleum derived mineral oil is inexpensive and consistent between batches. If you order mineral oil X, you can be assured it will have the same color, same viscosity and same skin feel as last time, which is one of the reasons it’s used in so many commercial products. Some malign mineral oil as being occlusive, meaning it creates a film on our skin to reduce transepidermal water loss. Ingredients as varied as cocoa butter, dimethicone and allantoin serve the same function, and it’s vital to keep our skin moisturized and hydrated to reduce or prevent dryness. 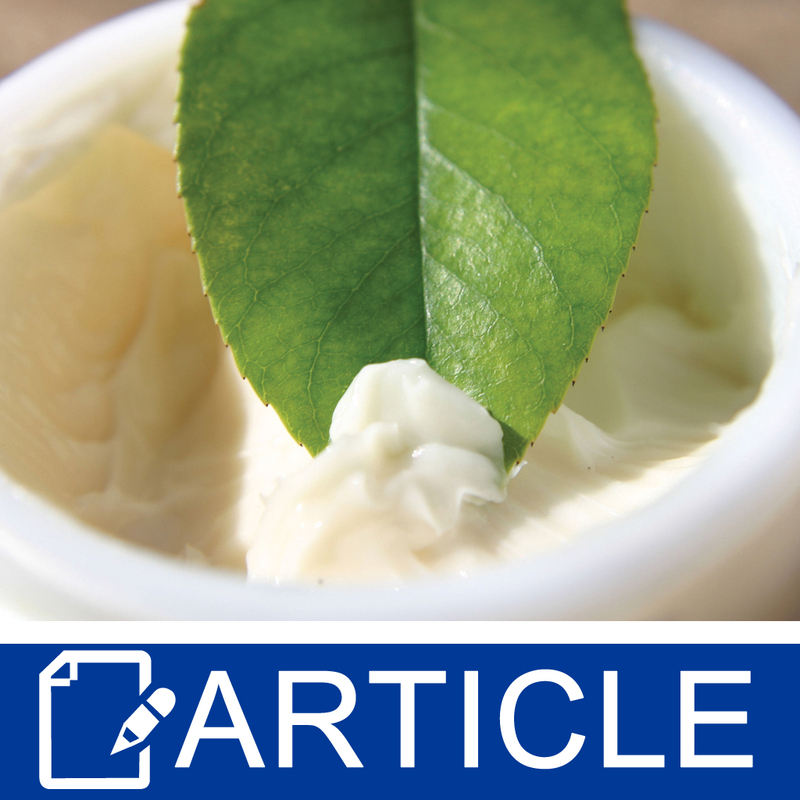 Natural alternative: As an emollient, any liquid oil, especially slightly greasier ones. As an occlusive, any butter, preferably cocoa butter or allantoin. You’ve no doubt read the warnings via e-mail or Facebook pages claiming sodium lauryl sulfate (SLS) causes cancer, as evidenced by its inclusion in garage floor cleaners, engine degreasers or toilet bowl cleansers. Although it’s considered a harsh detergent with a skin and eye irritation potential much higher than most other surfactants used in bath and body products, there’s no evidence SLS causes cancer. SLS is an inexpensive surfactant, a bubbly, foamy and lathery ingredient we add to shampoo, body wash, facial cleansers or toothpaste for its cleansing properties. To increase its mildness, it’s generally combined with another surfactant like cocamidopropyl betaine. It’s extremely easy to thicken with salt, another reason we see it in so many products. The Cosmetic Ingredient Review panel produced an alert recommending it should be used at 1% or less in a leave on product due to this potential for irritation, that it can cause comedodomes on rabbit ears at 1% to 5%, and that it could damage hair follicles. Alternatives: Any other surfactant that offers great foaming, like sodium laureth sulfate, C14-16 olefin sulfonate or disodium laureth sulfosuccinate, to name a few. Natural alternatives: Decyl glucoside, lauryl glucoside, sodium cocoyl glutamate, sodium lauroyl sarcosinate or babassuamidopropyl betaine, depending upon the product. You could use liquid soap in place of surfactants in some products, like hand cleanser, but its pH can be too high for shampoo, body wash or facial cleansers.